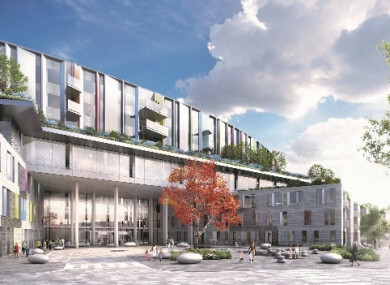 AN TAOISEACH LEO Varadkar has confirmed that the terms of reference into the inquiry of significant cost overruns in the construction of the National Children’s Hospital will be revised to ensure individuals can be held accountable. Speaking on RTÉ’s This Week, Varadkar said the review by consultancy firm PwC will be able to identify people who made particular mistakes which may have led to overruns in the projected costs of the hospital. “We’ve looked at the terms of reference and the terms of reference will be revised to enable PwC to find individuals accountable or to identify individuals who made particular mistakes if that’s what they find,” Varadkar said. Having considered it and having talked about it with the Minister for Health we’re making revisions to the terms of reference to enable the investigation to find individuals accountable if they’re able to do that. On Friday, Health Minister Simon Harris said that the review wouldn’t be permitted to assign or suggest blame to any individual involved with the hospital build, but will examine how the total cost of project is now estimated at €1.7 billion. The Oireachtas Public Accounts Committee heard on Thursday the total cost of the project is “highly unlikely” to come in under €2 billion. A figure of €983 million for the development was approved by government in 2017. Yesterday, It was announced that the chairperson of the board tasked with overseeing the development – Tom Costello – had stepped down from the role. Speaking today, Varadkar said that children’s hospital would be “an asset for the country for 100, maybe 200 years”. He accepted that there was public anger over the project and said the public “were right to be angry”. Varadkar said that the review may find that many of the cost increases were “unavoidable”, and said some of the costs could be related to construction inflation. “But if there are other ones when we have the opportunity perhaps to pull back on them,” he said. Varadkar also spoke about Brexit and the ongoing industrial dispute with nurses. Nurses last week went on strike for 24 hours as part of the dispute which is centred around pay and work conditions. Nurses are taking issue with what they call a recruitment and retention issue in the sector. Further action is planned this week, but the government has refused to countenance any pay increases for nurses outside of the wider public pay sector agreement reached and signed off on in 2017. Varadkar today repeated that government line. He accepted that the nurses had strong public support that was unlikely to diminish, but said no wage increases outside of terms of the public sector pay agreement were possible. “Government wants to resolve this, and we can resolve it,” he said. But it can only be resolved within certain parameters. First that it’s fair to the taxpayer, and secondly that it’s fair to all other public servants. In terms of Brexit, Varadkar repeated the importance of the Northern Ireland backstop remaining as part of any final deal on the UK leaving the EU. Speaking about UK prime minister Theresa May, Varadkar said they’re relationship was “very honest and frank”. In terms of the British parliament’s decision last week to send May back to Brussels to seek a new Brexit deal without the backstop, Varadkar said it showed “exactly why we need a backstop”. Email “Varadkar confirms that children's hospital review WILL be able to find individuals accountable ”. Feedback on “Varadkar confirms that children's hospital review WILL be able to find individuals accountable ”.